Bourgas or Burgas is the second-largest city on the Bulgarian Black Sea Coast and the fourth-largest in Bulgaria after Sofia, Plovdiv and Varna, with a population of 200,271 inhabitants, according to the 2011 census. It is the capital of Burgas Province and an important industrial, transport, cultural and tourist centre. It is the fastest developing city in Bulgaria, and second in terms of economic potential after the capital city. The City is an important industrial, cultural, and administrative center of the south-east region. It also serves as an important commercial and transport hub, with an international airport that handles more than 2.5 million passengers annually and one of the biggest ports on the Black Sea Coast. Burgas is located close to the largest complex of coastal lakes in Bulgaria. The total area of the lakes amounts to 95 km² of which 33 km² are declared or proposed protected areas. In addition to substantial natural resources such as fish, game, sea salt, and cure mud which are important to the local economy, the lakes are also known for their exceptional biodiversity. The city is surrounded by the Burgas Lakes and located at the westernmost point of the Black Sea, at the large Burgas Bay. The LUKOIL Neftochim Burgas is the largest oil refinery in southeastern Europe and the largest industrial enterprise. The Port of Burgas is the largest port in Bulgaria, and Burgas Airport is the second-most important in the country. Bourgas is the center of the Bulgarian fishing and fish processing industry. The city, along with Sofia, is one of the key elements in supporting Bulgaria's future European transport network (TEN-T) EU and Pan-European Transport Corridor 8, which includes construction of the railway and road infrastructure and the development of the Port of Bourgas and Bourgas Airport. Industry is a leading sector in the economic profile of Burgas. This is represented by vehicle construction, low- and high-voltage installations, electronics, dark and light oil-products, chemical fibers, plastics and other chemistry products, shipbuilding, air-conditioning and waste-treatment plants, fish-processing industry etc. 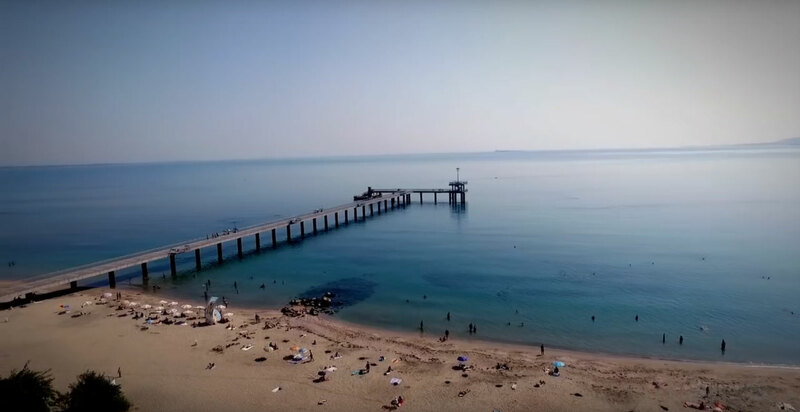 BATTI Burgas was established in 2015 with the idea to create regional community of innovation support and technology professionals, to promote high standards in the provision of innovation support and technology transfer services to SMEs, NGOs, public sector, universities, etc. and to share professional experience and good practice, with a view to developing the knowledge economy, improving quality of life and boosting the wealth creation process in Burgas and the Burgas region.